While watching TV, I would always see the commercials for ShoeDazzle.com. I liked the shoes that were advertised but I was skeptical about the quality of the shoes since the price was so low. I went onto their website and noticed that Kim Kardashian was the founder of the shoe club so I figured the shoes must be hot if she created the company. To get started, I had to fill out an fashion survey which asked questions like "What fashion styles of celebrities I preferred?" They gave me options of Beyonce, Eva Longoria, and Nicole Richie, just to name a few. There were others questions as well and once I was finished with my fashion survey, I was told my Personal Shoe Stylist will email me within 24 hours letting me know that my Personal Shoe Showroom is ready for viewing. While I waited for my email to arrive from my Personal Shoe Stylist, I was still able to view different types of shoes on the website created by my so called Shoe Stylist and I must say, a lot of these shoes looked so cute! But I did notice that a lot of the shoes has very high heels and looked good if you're going out for the night of the town, but not good for work. Also their shoes are very flashy and busy. I'm more of a conservative person so I do not like to have very flashy shoes with 7 inch heels! So since I was worried about that, I decided to ask my friends on Facebook if they've ever used ShoeDazzle. One of my friends said that she has a friend that buys her shoes from the website and the quality of her shoes does not look cheap and her shoes always looked cute on her. 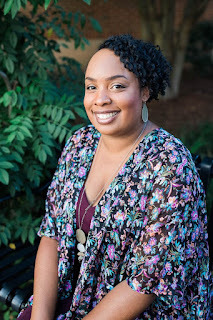 When my email from my stylist came the following day, I must say that most of the shoes picked were high heels but I did get some cute flats in my personal showroom. I had the option for my Personal Stylist to change my shoe showroom to more flats which made me satisfied with their new selection. I bought myself three pairs of shoes, two pairs of wedge boots and one pair of flats. What was also great is that I received 20% off my first pair of shoes for being a new client! It took about 5 days to get my shoes and when I opened my box, to my surprise both of my wedge boots were very cheaply made! All of my pair of shoes I'd order were not worth the $39.95 price! No monthly fees like other online shoe clubs. You can buy shoes whenever you want without accruing a monthly charge. Not only does ShoeDazzle sell shoes, they also sell jewelry, handbags, etc. Most of the shoes are not true to size and you must order a size bigger...especially their shoes with heels. The quality of their shoes is very poorly made. $39.95 is not worth the price of the quality of their shoes. Is ShoeDazzle.com Worth a Try? I'm going to have to say no. The quality of their shoes is not worth the price. You can see the glue on the shoes! Also within 10 minutes of wearing their wedges, my feet gets uncomfortable and start hurting bad!﻿ You can find a decent pair of shoes for a lot lower price at Payless! Have you ever worn any of ShoeDazzle's shoes? Did you like their shoes? Update: ShoeDazzle is no longer owned by Kim Kardashian and has been taken over by Rachel Zoe. The shoes may have gotten better since I've lasted used it. Prices varies now instead of $39.95 set price. ShoeDazzle has more than just shoes, they have handbags, jewelry and denim. They now have a lot of name brand companies on their website. That's great! 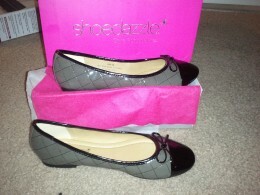 I only used Shoedazzle when they first started so I may give them a try again. I do love their shoes and would like to try them. But am from the bahamas do they slip that far. i have bought 2 pairs of shoes, the shoes are in good quality. just the custom service is so bad. i called many time , no one ever answer my phone , even my email...my question about the price have not yet answer....i am really sad about it ....by the way, there is monthly fee of $10, automatically charged from my bank account. you should be aware of it . I hope someone will get in contact with you soon Ashley! You may want to report them to the BBB. i have bought 2 pairs of shoes from this website. and i am not going to continue my shopping. because the fee that they claim is unclear. and they will never tell you the truth. there's definitely a service fee of 10$ automatically charged from you bank account, since you registered . when you paid for your shoes, there is a fee of 14.95 for free shipping. but the trick is when you received your shoes , the post office will charge you another delivery fee of 20$. so the totally fee of shipment is 14.95+20. Hey Ashley! Last year they stop doing the monthly charge so are they charging fees again? That's crazy! And that's ridiculous if they're charging shipping now plus another $20!!!! No way would I ever buy shoes from them again! However, I only wear heels- flats don't exist in my universe except for flip flops so it works for me. I also have not had a problem, so I can not speak to the Customer Service piece either. I am a VIP Elite and pay 39.95 a month which is directly applied as a credit for shoes, never expires, free shipping on everything with no minimum order, additional discounts and promos. I think it is definitely worth it for women who are into shoes- it is a must have. Another site that I have found great deals on is Shoe Metro- very pleased with them too. I think Shoedazzle may have gotten better after Kim Kardashian sold the company and Rachel Zoe took over. The shoes look like they've gotten better. I really need to go on there and check out their shoes but I'm the type that likes to go to a physical store and look at the shoes in person before I buy.